Thanks that is a good suggestion. When you say take a reading off the jumper terminals. I know where the positive terminal under the hood is. When the tow driver jumped it he put the negative on ground. Is there a negative terminal under the hood as well? I don't recall seeing one. On the passenger side shock tower there's what looks like an extra long bolt/thread (it's not really a thread) sticking out an inch but any ground will work. ok so i got home friday and didn’t drive the car until tonight. The charging system fault warning and battery light came on again. Back to the dealership tomorrow. Hopefully i’ll make it and not have to be towed in again. I spoke to the service advisor today and they replaced the alternator. He said everything else checked out. A technician took the car home last night and the check engine light came on but not the charge light. They are sorting that issue now and they are going to drive it a couple more days to ensure it's fixed before they give it back to me. I am guardedly optimistic. As far as I know there's no separate light for battery and alternator. With the sophisticated electrical systems in cars today you can have the light come on, have some electrical appliances in the car shut off automatically, and continue on until the battery reaches charge status from the alternator or you replace it. And alternators are probably one of the easiest components to check..... 14.5V with engine running then it's OK.
Last edited by mleskovar; 10-31-2018 at 12:53 PM. Got a call today the car was ready to pick up. They replaced the alternator to fix the charge system fault issue. The invoice noted "Once battery was recharged performed charge system test with SDD. Found generator to have failed. Replaced and performed long drive cycles as well as letting vehicle sit. Rechecked battery. Test passed. Charge system working as intended at this time". The check engine light issue was also fixed. Note says "Faults B1D14-11 and P065B-16 active. Found internal failure in overhead console for lights and roof opening panel not working. Replaced console.". The roof was working before so that must've just went out or something. No charge as all work was performed under warranty. Drove the car 25 miles home and everything worked perfectly. I'm going to drive it around this weekend just to make sure but I think the worst has passed. I may be too cynical but I don't buy their story. If the alternator was bad the SDD would have picked it up the first time and you don't replace a two year old battery without checking the alternator. I wonder if the 'console' was the culprit? Anyway, I would definitely monitor the battery with a DVM just for peace of mind. 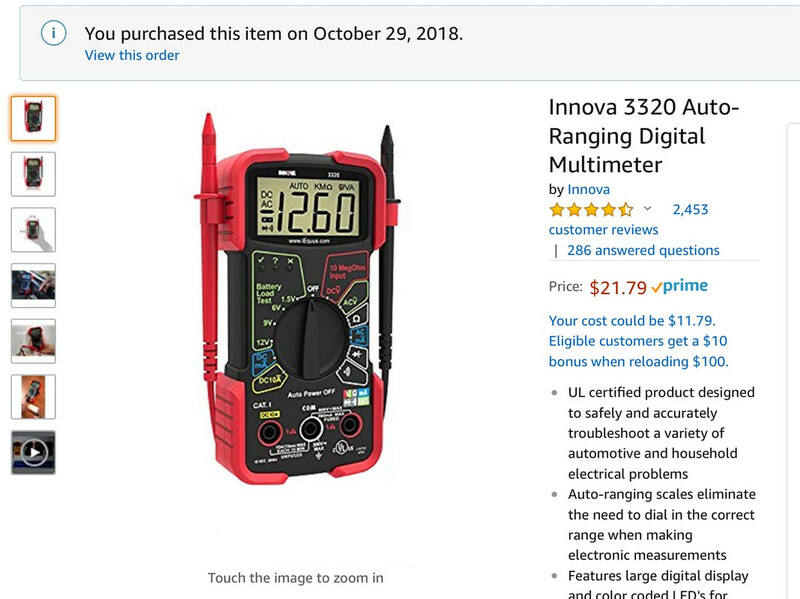 I did take your advice from earlier and ordered a DVM off Amazon. It arrived this week. I’ll be keeping a log of voltages at various times for a couple weeks to make sure. Thank you for the directions on how to do this and what to look for. I’m not much of a mechanical type. Most people aren't and that's why auto repairs are so expensive .... because they can. Remember to take voltage measurements at least 1/2 hour after anything that uses electricity so the battery can have time to rebound. Opening doors, touching door handle, lock/unlock, open trunk, radio, etc. It's a good idea to release the hood latch when you get home at night and take a measurement 1/2 hour later. Then don't close hood and take one in the morning before starting off. Red lead to + battery jump terminal under two plastic covers and black lead to any ground (like bolt to body, not on paint though). I'm curious what you measure.